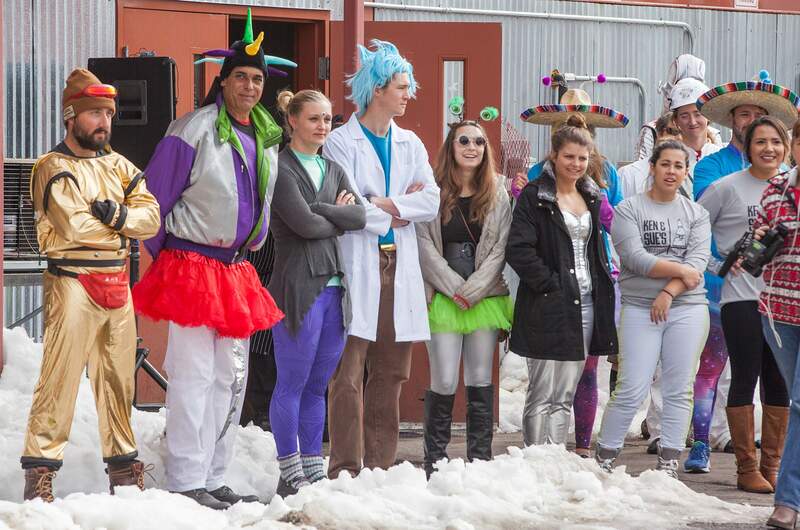 Shaun Stanley/Durango Herald - DURANGO, CO- 2-03-17 Teams watch others compete in the Snowdown Waiter/Waitress races held behind Steamworks Friday. Nate Shawcroft, left, of Bayfield found the Silver Bullet, this year. It's his thrid time finding it since 2007. 8 p.m. | His name was Chad Utterback, and he’s from Aztec, New Mexico. 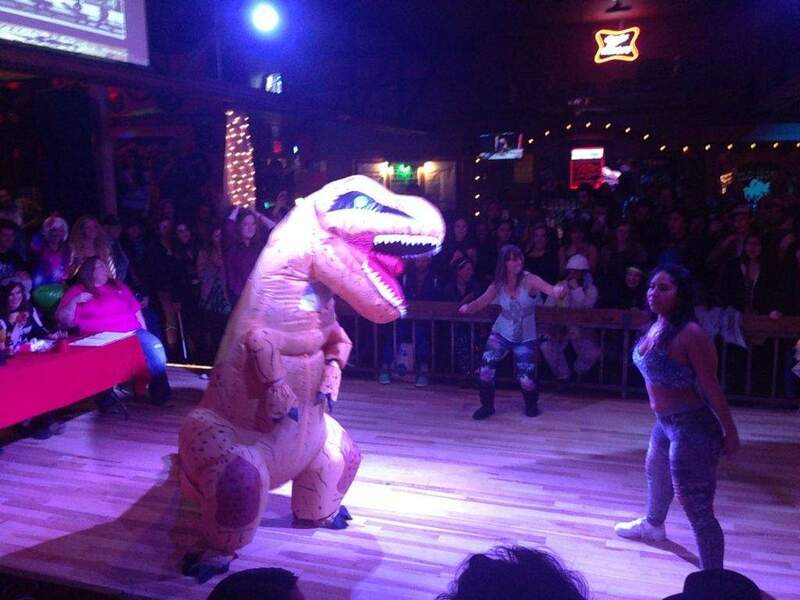 And for one unforgettable Snowdown 2017 night Chad got into a human-sized T-rex costume, and danced his heart out at the annual Booty Shakin' Contest at the Wild Horse Saloon. It’s unclear at the time of publication who took home this year’s bragging rights, as the contest usually goes into the wee hours of the Snowdown night. 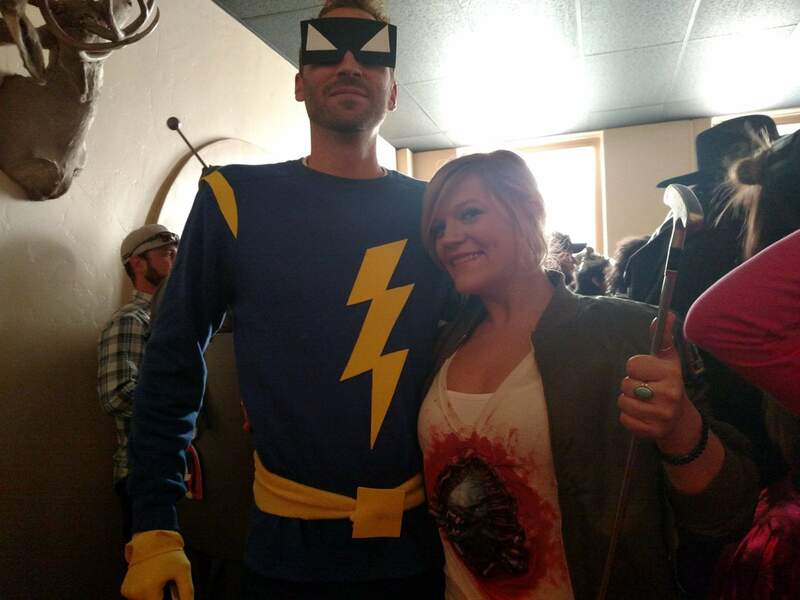 However, Utterback, who bought the costume for about $85 in Farmington, said the purchase was totally worth it. Reader's note: Utterback was not the same dinosaur costumed man who could be found Friday barreling down Chapman Hill at the downhill race. The identity of the man who pulled off that incredible feat remains unknown. 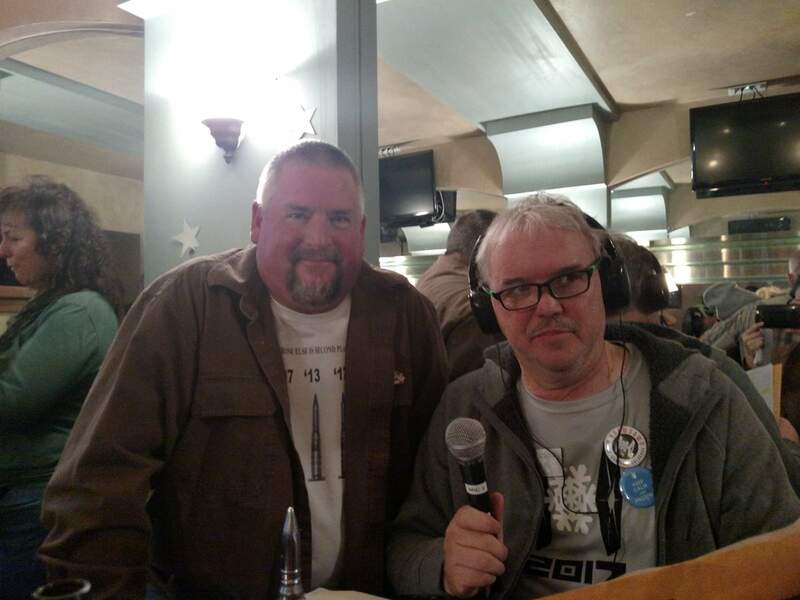 5:30 p.m. | Two-time winner of the Snowdown hunt for the Silver Bullet took the title again this year. Nate Shawcroft of Bayfield found the bullet, the location of which is hinted through a series of broadcast clues, on a pillar at the Greenmount Cemetery. Shawcroft also found the Silver Bullet in 2007 and 2013. 4:45 p.m. | By 4:30 p.m., determination of the winners of Outlaw Josie Pete's Golf Tournament was still pending, but a pre-award dance party was underway at the Elks Lodge. As contestants danced and awaited the results, tips were offered for golfing your best: “Keep your balls straight and your putters hard,” said Jess Hamill. And for making it through the entire tournament: “Have at least one meal throughout the day,” said Roxie Vojta. 3:37 p.m. | At El Rancho Tavern Saturday afternoon, Snowdowners could be found drinking, and some, admittedly, had been practicing all year. 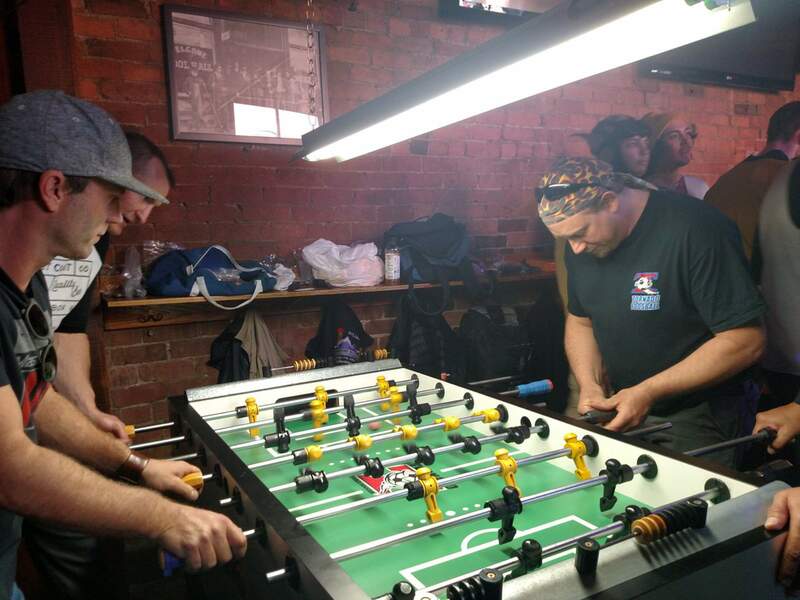 Several games of foosball were underway at the bar, though both the rules and integrity of some of the players were ambiguous. Meanwhile, competitors in the Outlaw Josie Pete's Golf Tournament tried to putt their way through. 2:40 p.m. | The secret to championing the hula hoop is all in the hips. Amateur hula hoopers young and old tried to outdo one another in the parking lot at Gazpacho's Restaurant on Saturday, but it wasn't a completely fair fight: there was a professional in their midst. 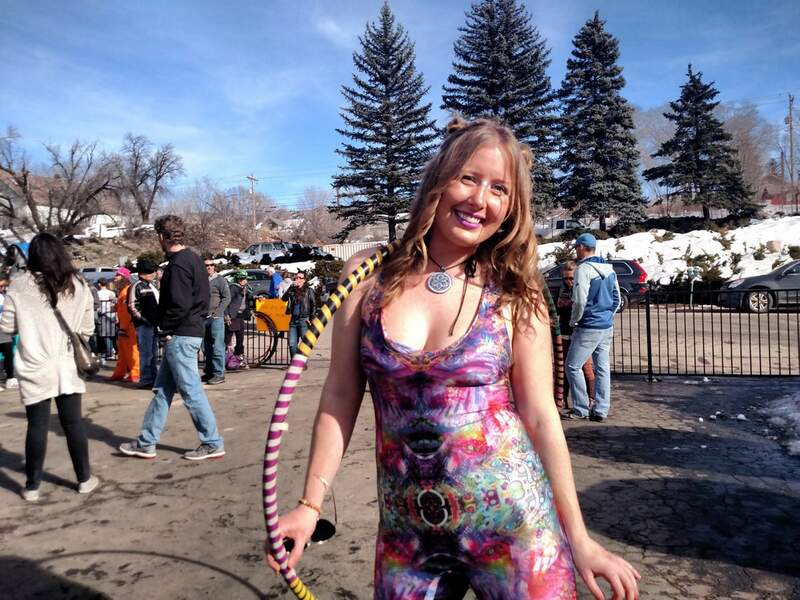 Morgan Chambers, who calls both Durango and Yosemite home, is a professional performer whose skills include hula hooping and fire spinning. Sporting a Paisley body suit and purple lips, she was declared champion. 8:56 a.m. | Balloons are flying through the air as part of the Balloon Rally & Mass Ascension off Highway 550. Look for these beauties soaring over Durango today. Saloon, Balcony Backstage, Eno, Olde Tymers, El Rancho, Father's Daughters Pizza, Cuckoos and Pongas. Check back to durangoherald.com/snowdown throughout the day for photos, live blogging and videos from today's events. Keep up with our reports and photographers over on Twitter today. Photographers Shaun Stanley and Jerry McBride tweet from @dhshooter and @jerryphotog and reporter Jessica Pace will tweet from @jessica_dherald.